It can be tough to pony up a 20 per cent down payment on a home in Canada. Fortunately for many buyers, there are lenders out there willing to give you a mortgage for much less money down. With Canada Mortgage Insurance, you can purchase your new home with as little as a five per cent down payment. When you get a mortgage that carries this insurance, your lender pays a premium. That coverage makes sure your lender is insured if you default on your mortgage payments. Lenders then pass these costs on to you; instead of paying more money upfront to purchase your home, you pay an extra monthly fee on your mortgage payments. How much extra depends on the value of your home and how much of a down payment you’re making: the less money down, the more extra money you’ll likely pay each month. CMHC is one of two organizations that provide the insurance. The other, Genworth, offers the same standard rates. 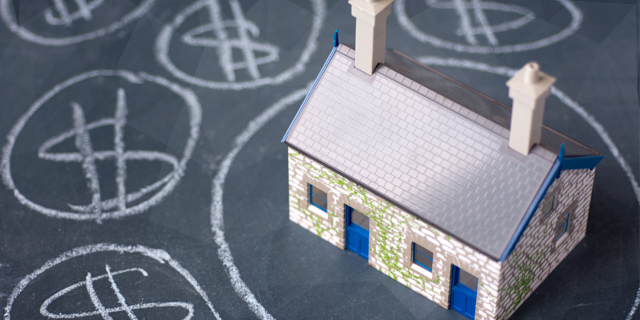 It’s easy to confuse the two - but mortgage insurance is not mortgage life insurance. Mortgage life insurance ensures that, if you die, any money you owe on your mortgage will be paid automatically. Some mortgage life insurance products also protect you if you have to go on long-term disability and can no longer work. In some cases, lenders will purchase default insurance on your mortgage even if you put more than 20 per cent down. Most of the time, those lenders won’t pass the costs on to you since the insurance is not mandatory in the eyes of the federal government. If you’re paying a premium despite your higher down payment, it may be because you’re deemed a higher risk client. This may be because you have a bad credit rating or carry a large debt load. Remember, a mortgage broker is there to help you get the best possible deal regardless of the size of your down payment. Contact a MA broker to find your best option, today.